The ISI Touch Screen stores all data in a central place. 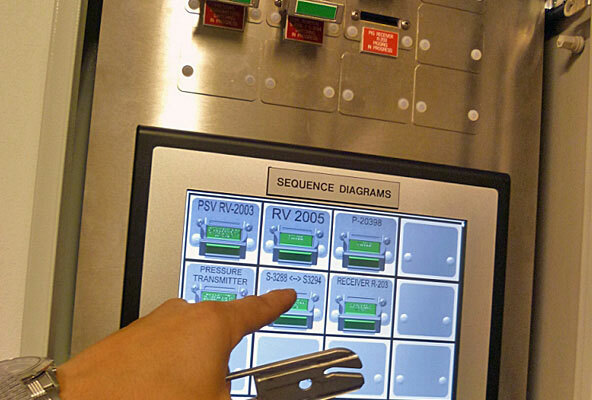 It enables to display various sequence diagrams, sequence descriptions and additional valve interlock information. ISI Touch Screen can easily be adapted to your needs. Buttons with Netherlocks contact information, general interlocking information and a training button with instructions are standard options. Also company specific content can be added. Connect a printer and you can take a printout of the sequence with you.